We hear so much big band music these days that we may be at risk of forgetting where the priceless modern day markers really are, not just in terms of magnificent charts but also in a gathering of fine virtuoso instrumentalists. There’s not much danger in the Jazz at Lincoln Center Orchestra receding from our consciousness, of course, thanks to this absolutely memorable two-part disc, Live in Cuba. This is the debut disc from Jazz at Lincoln Center’s brand new imprint Blue Engine Records and it announces the label as very possibly a major international presence with this disc and the JALC bassist, Carlos Henriquez’s own debut The Bronx Pyramid. It may be my imagination, but the flow of fine (big band) recordings seems to have slowed in recent years. If so, it’s a pity, as big band music, when played right, can course through the room like an explosive burst of early-morning sun. And here, unmistakably, is where the spark of the inflammable brilliance is ignited. Perhaps the wait has been worth it, because these one-to-a-part performances by the Jazz at Lincoln Center Orchestra have the heat to make your blood run faster. I don’t mean heat of the hard-driven, percussive kind so often encountered today (although this is also true of this repertoire); on the contrary, line is always respected, tempos are up with the pace, but it is natural and never fussy, and soli and ornamentation are always clever, sometimes humorous, often delightful. Add to that technical excellence – the exactness with which the reeds, brass and rhythm sections articulate their semi- and demi-semi-quaver groups on Braggin’ In Brass (CD 1) or the cutting precision of the scurrying continuo in the opening of Doin’ Y(our) Thing (CD 2) – and a recorded balance that hits the perfect combination of blend and clarity, and you already have the ingredients for something memorable. What really shoots this recording to the top of the pile, however, is the sheer joy of it, the spontaneity and the tireless, surging musical energy of its many sudden feints and sallies. 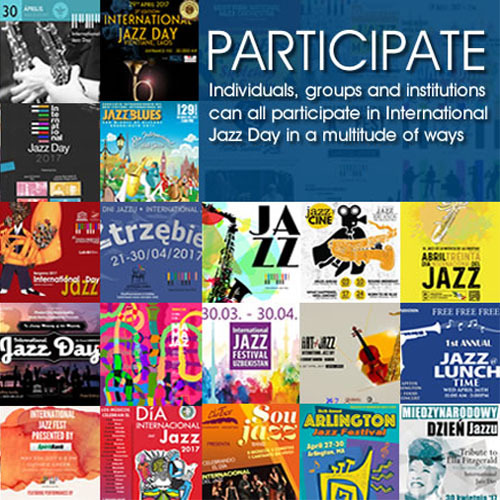 How grippingly, for instance, the tension climbs in the often polite chart from Duke Ellington and Billy Strayhorn’s Queen’s Suite; how liltingly the off-beat theorbo flutters from Joe Temperley add springy definition to its finale; and how the taut energy of those notes in Como Fué release in a chain of glorious suspensions and the witty interplay of the final bars spills over into a final-note twiddle that is pure natural exuberance. And it’s not only in Mr. Temperley’s soli, but also in Wynton Marsalis’ Sherman Irby’s Dan Nimmer’s and of course in Carlos Henriquez’s… I could wax eloquent about each and every one of this great orchestra ad infinitum but I would be merely stating the obvious – that is what your ear too can discern from listening to the two discs in the package for hours and hours. Such things are what we have come to expect from a great orchestra like the Jazz At Lincoln Center Orchestra, but in these pieces the ensemble’s musical personality finds a home so congenial that it simply bursts from the speakers. Not that it is all bonhomie, however. The elementally beautiful and melancholy blues I Left My Baby, cried by the trombonist Chris Crenshaw on CD 2 is subtly drawn, with a slow movement of concentrated stillness and lyrical beauty (from Mr Crenshaw) and a magnificent muted trombone solo from his partner in the trombone section, Vincent Gardiner before the band brings the blues home lies in sharp contrast to the ecstatic bustle of most of the other repertoire. This too is the kind of piece that distinguishes such an album from most of what is out there today. This delicate dynamics, relaxed tempos and free-spirited attitude to rubato, likewise creates a winsome expressive world of its own. 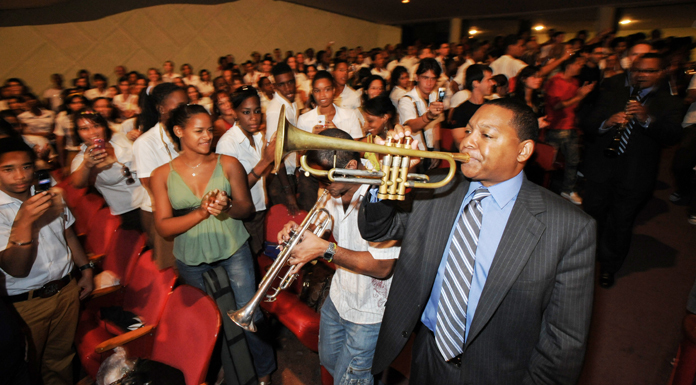 There is no doubt that the orchestra’s musical director Wynton Marsalis has the ability to empower the minds and bodies of the 14 players around him too, not just fellow trumpeters Marcus Printup, Kenny Rampton and Ryan Kisor, but the reeds – Sherman Irby, Ted Nash, Victor Goines, Walter Blanding and Joe Temperley, together with the trombonists Vincent Gardener, Chris Crenshaw and Elliot Mason and the rhythm section of the indescribable pianist Dan Nimmer, Tour Musical Director and bassist Carlos Henriquez and drummer Ali Jackson and JALC Orchestra’s Cuban guests Bobby Carcassés, Pancho Terry, Yaroldy Abreu Robles and Dreiser Durruthy Bambolé as well. All of these are acolytes humming around what may just be the finest Big Band in the World today. Whether may be deemed to be true by all critics or not these two discs are certainly filled brimful with performances with a wonderful sense of mutual fun and exquisite team-play. Track List: CD 1 – 2/3’s Adventure; Baa Baa Black Sheep; Inaki’s Decision; Sunset and the Mockingbird; Como Fue (featuring Bobby Carcassés); Dali; Light Blue; Braggin’ In Brass; CD 2 – Limbo Jazz; Doin’ Y(our) Thing; I Left Me Baby (Featuring Chris Crenshaw); Bearden (The Black); Symphony In Riffs; Spring Yaoundé; Things to Come; The Sanctified Blues. Personnel: REEDS: Sherman Irby: alto saxophone, flute, piccolo, clarinet; Ted Nash: alto and tenor saxophones, flute, piccolo, clarinet; Victor Goines: tenor saxophone, clarinet; Walter Blanding: tenor and soprano saxophones, clarinet; Joe Temperley: baritone saxophone, bass clarinet; TRUMPETS: Ryan Kisor; Kenny Rampton; Marcus Printup: trumpet; Wynton Marsalis; TROMBONES: Vincent Gardner; Chris Crenshaw; Elliot Mason; RHYTHM SECTION: Dan Nimmer: piano; Carlos Henriquez: bass; Ali Jackson; Bobby Carcassés: vocals (5 – CD 1); Pancho Terry: percussion (5 – CD 1); Yaroldy Abreu Robles and Dreiser Durruthy Bambolé: percussion (1, 5 – CD 1).